It has been said that if you fail to plan, you plan to fail. This statement rings true in the context of estate planning. A disorganized estate plan is ripe for expensive litigation that will deplete the assets of the estate. 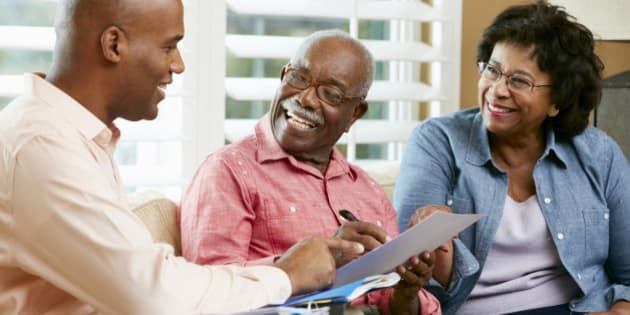 A Last Will and Testament is usually the cornerstone of an estate plan but can be disputed by disappointed beneficiaries. It is impossible to guarantee that this important document will remain unchallenged, but, through proper planning, such challenges can be made less likely. There are a number of steps that can be undertaken by a testator to reduce the chances of litigation after his or her death. When these steps are used together, they offer a degree of certainty that the will shall remain uncontested or at least limit the chances of a successful will challenge when the time comes to administer the estate. Will challenges often involve a child contesting his or her parent’s will. There are a myriad of reasons that could prompt a child to do so. These may include: disorganized estate planning by the parent, failure to communicate testamentary wishes to family members, and failure to execute a will at all or until after the testator begins having memory problems, or other cognitive difficulties. Good communication is an important part of any process involving people. Often, there is little or no discussion surrounding a parent’s estate plan. This lack of communication can lead to children having mistaken views as to what their parents actually intended, triggering a will challenge. Having a fulsome discussion amongst family members will foster a shared understanding of the intent behind the parent’s estate plan and will also make it more likely that assets, which may be of sentimental importance to one or more beneficiaries, are properly addressed by the will. A planned family meeting, with or without a moderator, should be considered. If there are concerns about the mental capacity of the testator, serious consideration should be given to obtaining a capacity assessment prior to executing any documents. A capacity assessor’s opinion provides an expert report on an issue that may be raised after death and which can become an important asset in propounding the will. Claims contesting testamentary capacity are protracted when such an opinion is not available. A will may also include a ‘no-contestation’ clause. This clause may have the effect of forfeiting the gift of a person to whom the clause applies. Its purpose is to deter future litigation by incentivizing beneficiaries to refrain from challenging the will, as they risk losing the gift if they choose to do so and the will is nevertheless declared valid. Obviously, the gift must be of some value to give a beneficiary reason to be discouraged from otherwise challenging the will. It is important to revisit one’s will from time to time to consider whether updates may be required. Significant events such as the passing of a spouse or other family member, marrying a new spouse, the birth of a child, and substantial change in one’s financial position can all have serious implications for an estate plan. A disappointed beneficiary will be more likely to challenge a will where a change in family circumstances goes unaddressed and the will has not been updated. Handwritten wills invite numerous opportunities for an unhappy beneficiary to bring a challenge and they should only be used in exceptional situations. The potential to make a mistake while drafting a will oneself is considerable: be it failing to name an executor, neglecting to include a residuary clause, or using ambiguous terminology that gives rise to interpretation issues. Handwritten wills also have fewer safeguards in place to ensure their validity. This makes them easier to challenge than a typed will that is executed in accordance with the Succession Law Reform Act, R.S.O. 1990, c. S.26. Hiring a lawyer who can provide proper advice and craft a document less susceptible to challenge can detract from the likelihood of estate litigation. When in doubt, consulting a lawyer in an attempt to “bulletproof” one’s estate plan can be a significant benefit.